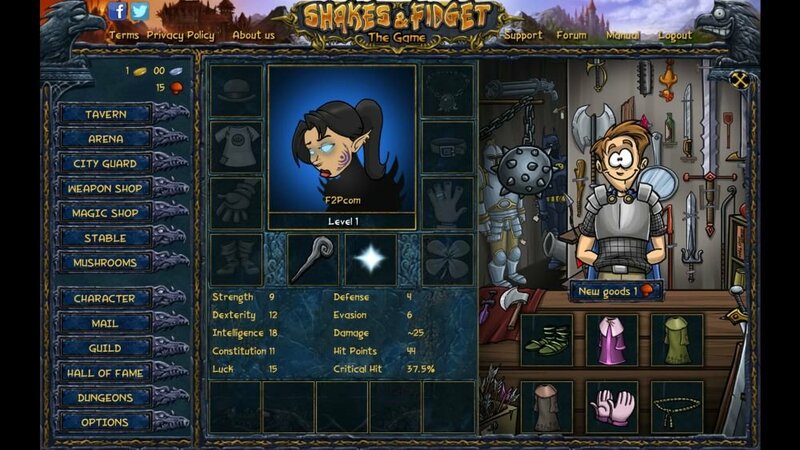 A fun, fantasy based free to play RPG the world of Shakes and Fidget is a stunningly designed hero building MMO where players will embark upon epic quests, locate powerful enchanted gear, test their mettle against players and construct their own fortress as they go head to head in PVP. Fundamentally a hero building game the purpose is to constantly make your character stronger so that they can take on greater PVE challenges and also stay competitive in PVP to try and keep at the top of the PVP Hall of Fame. To do this players will need to continuously earn coins to train their character and buy new gear to keep raising their stats in order to stay competitive with the reportedly millions of other players in the game. 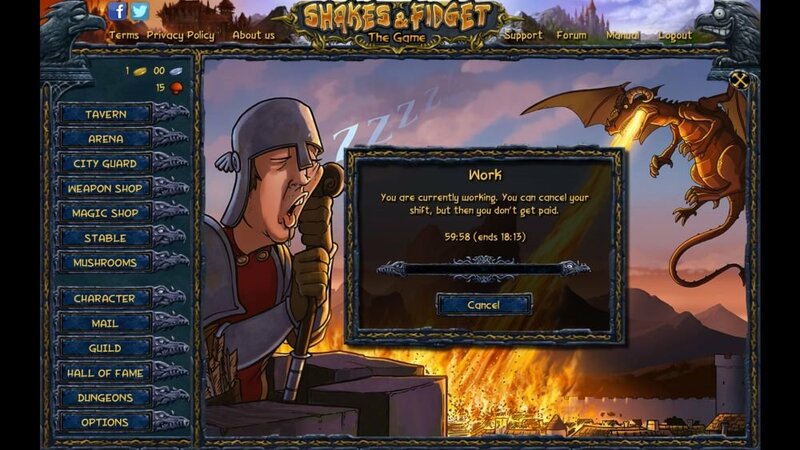 There are many activities in the game that require currency, but also time is another resource players will need to manage as all activities can take minutes or even hours to complete depending on the level of the player, difficulty of the task and ultimately the quality of the reward. 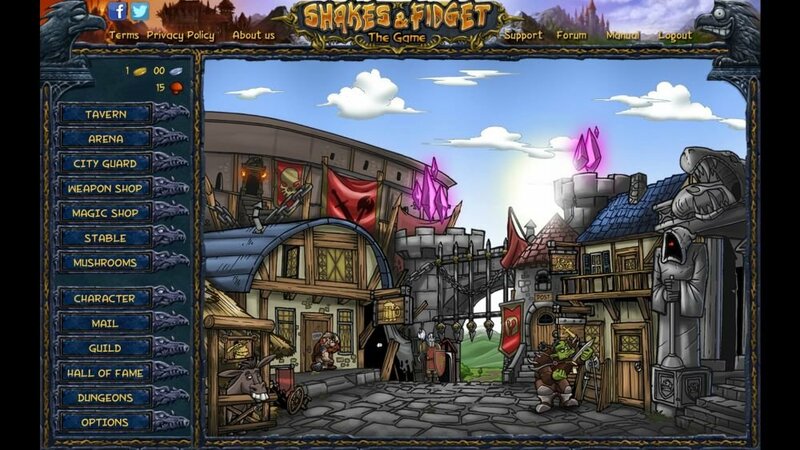 Players create their new hero from three classes (the Warrior, the Mage or the Scout) and from eight traditional fantasy races such as orcs, elves, humans, dwarves and more, which in turn will give players character avatars a different look and lots of different appearance options to customize them with. More importantly when creating your character is that your class and race will define your starting stats, Strength, Dexterity, Intelligence, Luck and Constitution; the five primary stats that define how strong you are in melee and ranged combat, how well you can defend against other classes, your hitpoints, evasion and chance to make critical hits. Stats are the basis of your prowess in combat, whether heading into a battle against an AI creature in PVE, or challenging a player in the Arena combat; it works exactly the same and is a completely automated mechanic. Both combatants will take it in turns to attack each other, the damage they deal based on their attack and the rival's defenses, which will slowly pick away at each other's hitpoints. Players have no involvement during fights, no way to use tactics, it is an outcome determined by the game based off your stats so ensuring they are high is extremely important. Acquiring gear is the main source of improving a hero's stats, each character has ten equipment slots to fill with gear, head, gloves, boots, belt, trinkets, weapons, armor; gear itself will give players + or – on different stats to they must choose their equipment carefully. In general the higher the level of gear the better it will be for the players. Alternatively players can spend in game currency to directly increase their stats, spending to improve a stat by 1 point, the higher the stats the more expensive this becomes, but it is a more direct way to improve stats that your gear might not be increasing. 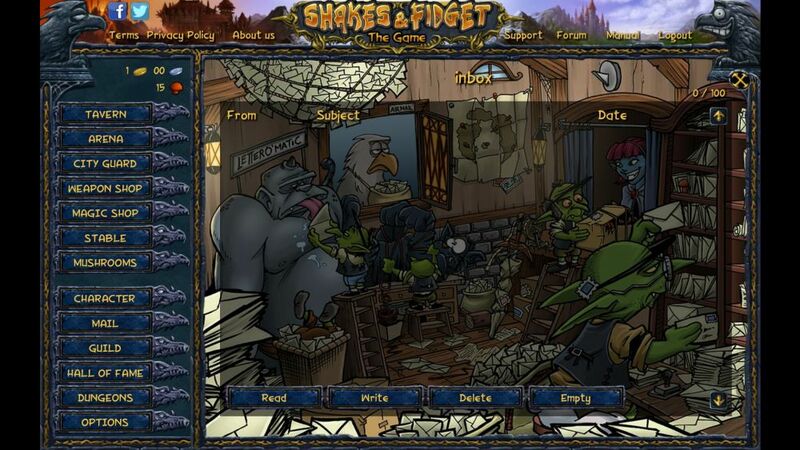 The game features PVP in the form of 1 v 1 duels in the Arena, as well as Fortress battles where, from level 25, players can build up their own fortress and train an army and then attack other players to try and steal their resources. PVE primarily comes in the form of quest where players will head to different locations and complete story content in return for coins, XP and equipment, and occasionally special keys that will allow them to explore the fourteen challenging dungeons in the game to seek out epic items.